14 December 2007. 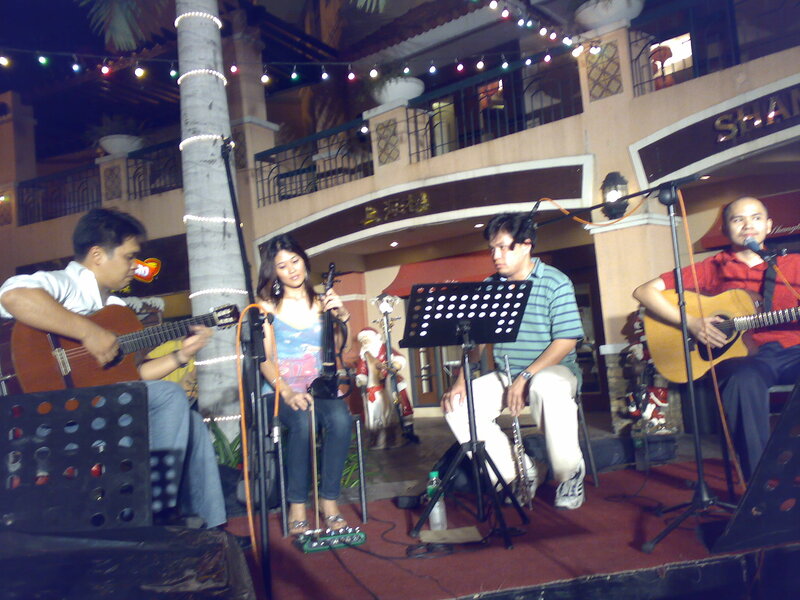 Flute and Guitar duo, Jay Gomez and Bong Rosario, perform Christmas carols at Eastwood City Walk 2. Jay and Bong are the artists behind the flute-guitar meditation series, Vespers. Accompanying them is guitarist, Toto Sorioso.